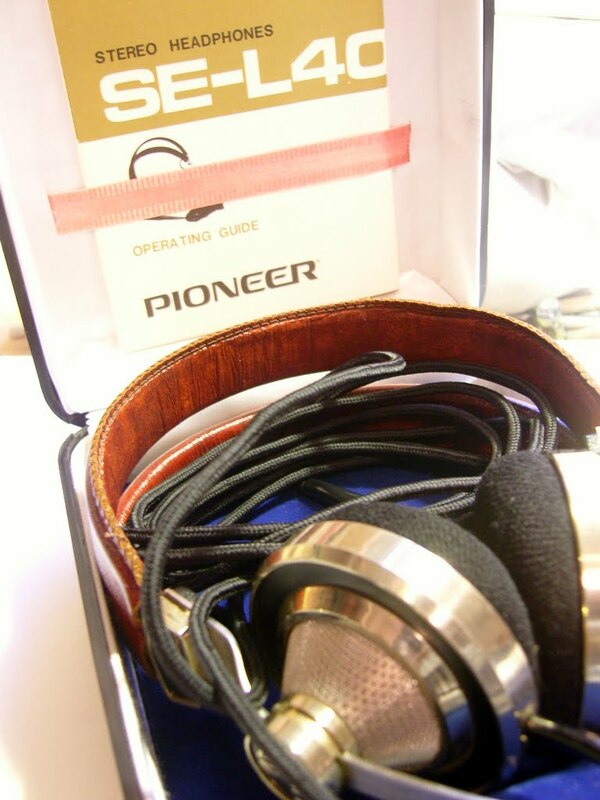 I was so lucky to buy a great Pioneer SE-L40 on the Norwegian trading site Finn.no. These phones have a strong following among headphone addicts and command high prices on Ebay. A nice boxed example might sell for between $125 and $200 US. The main reason for buying a pair is their looks, they may be the most beautiful headset ever made! There was only one catch with my phones, There was no sound in them, because of this I got mine for $70 including freight. I took the chance of buying a non-player because it´s usually the cable that breaks either at the headphone or at the jack plug, Otherwise there would be clearly visible trauma to the rest of the headset or cable. I was a little apprehensive of using force on the pads, so I decided to study the phones closely with my background as an industrial design engineer. I found the pads are made to twist of using a kind of bayonet lock. In the outer shells inside there are two small semicircular tabs that correspond to flat areas on the earpad base edge. Just twist the earpads until the base lines up and they lift out without any tearing of the fabric. 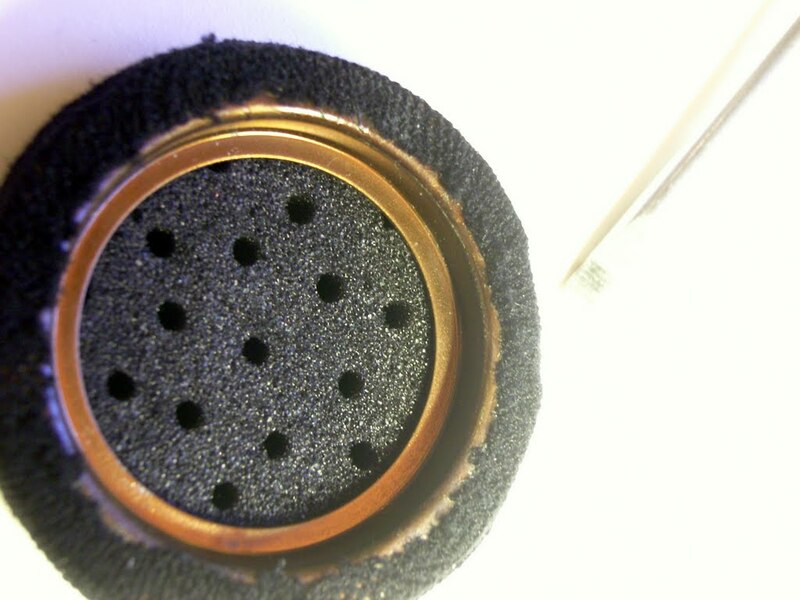 After dismounting the ear pads I removed a metal grill covering a speaker. They are a loose fit over the speaker. Just lift them of. 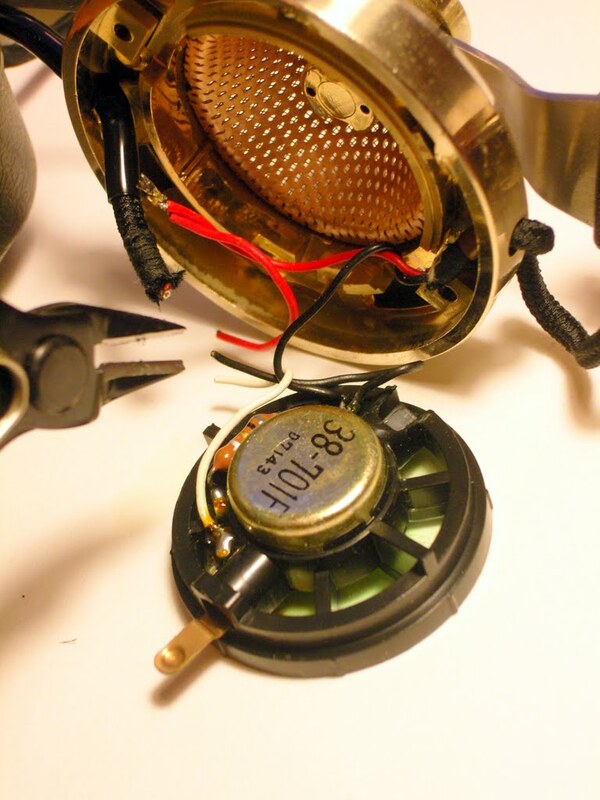 The speaker twists out. 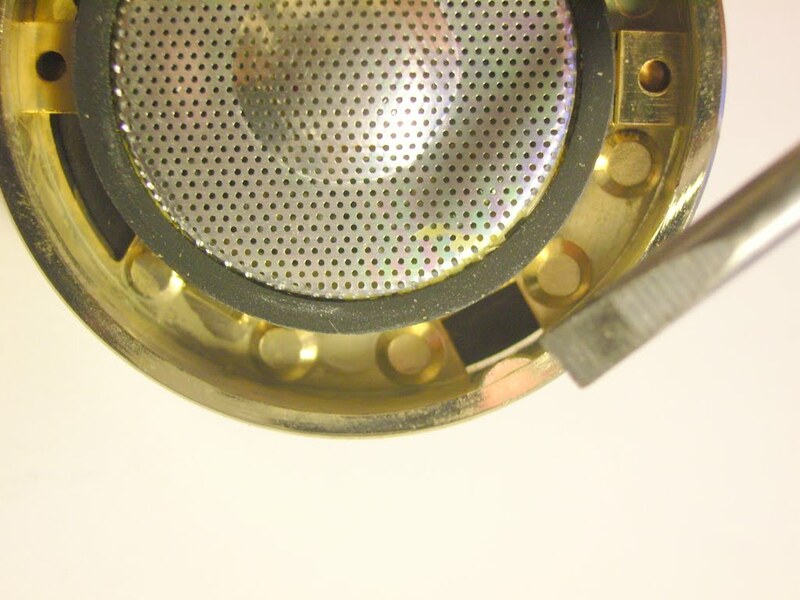 The two spring loaded brass lugs sit under a shelf molded in the inside of the outer case. There is a hole in the top of the selves, which help you loosen the lugs by pressing them down while you twist and work them out. The plastic holding the lugs on my headphone was brittle, and two of the broke during disasembly. One was regluable with cyanoacrylate, the other crumbled into small parts. A bit of the cloth covering on the ear pads had come of. I glued it on with a small drop of contact cement. There is a small metal clamp that keeps the cable from sliding out. pry it open and keep it for reuse. Now the cable is free so it can be worked out of the head shell hole. 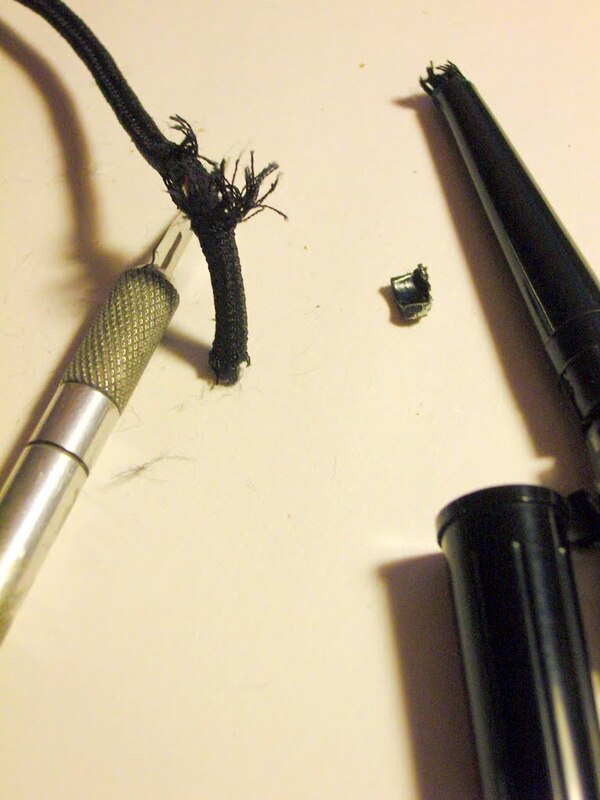 You will need precision and a very sharp scalpel to cut the cable reasonably well. The cloth is very resilient, and you may end up with a frayed end that is difficult to rethred into the headphone casing. Now its time to cut of the first 5 to 10 cm of the cable, strip it and measure continuity. Success! I had found the break. It´s late and this is precision work, so I´ll stop for today. 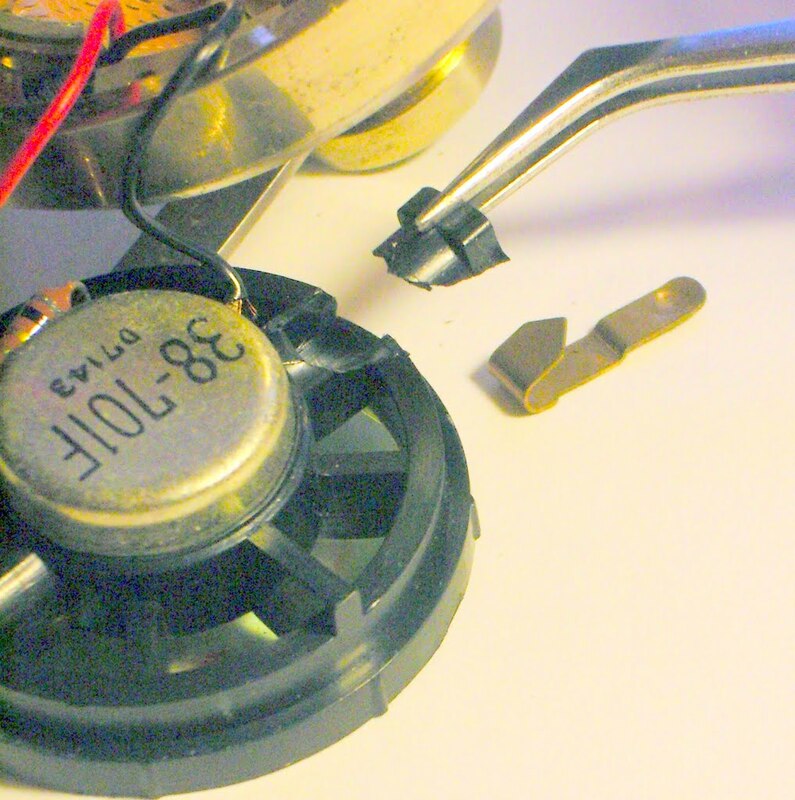 Tomorrow I will resolder the wires in the headphone, and mount a new jack plug. I cut 10cm of 4,6mm heat-shink and threaded the cable through. leaving 3cm of wire protruding. As things turned out I would probably leave 4 cm of wire. 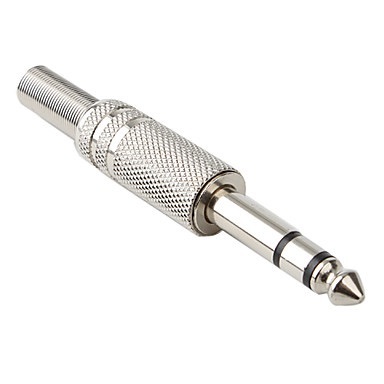 Pull the heatshrinked cable through the headphone shell. 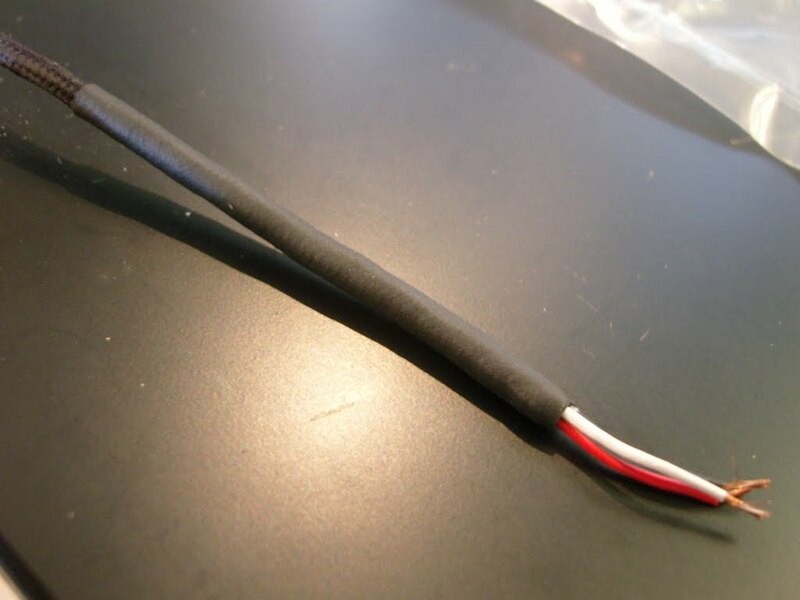 Clip on the small metal cable-pull preventer, and bend the cable into the groove. This is probably the break point for the cable. 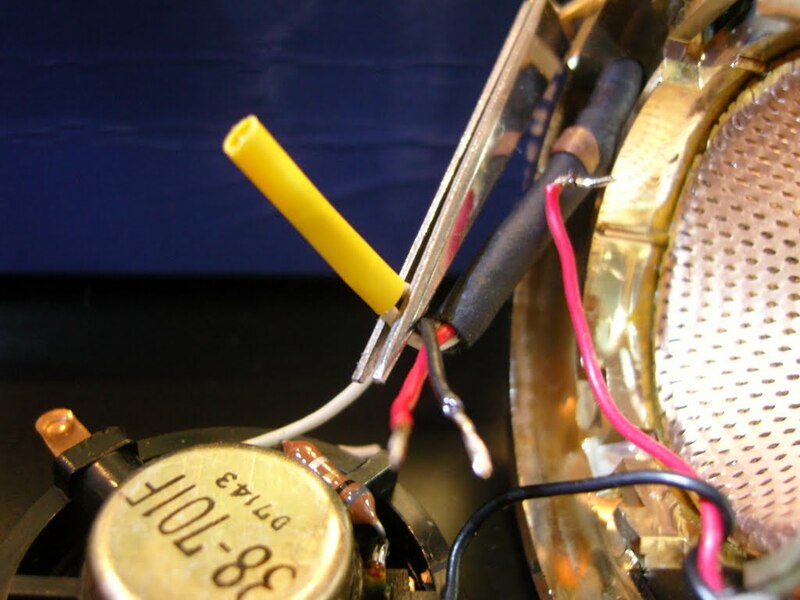 The wires should protrude from the cable at the point where they can make the 90 degree bend into the speaker cavity. 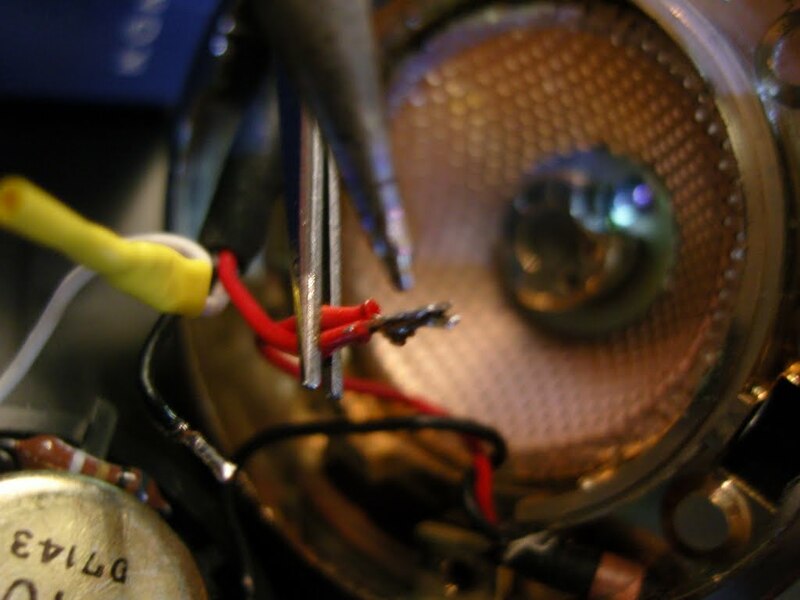 solder together new and old wires, or solder directly to the speaker terminals. I use aluminum foil to protect against heat. 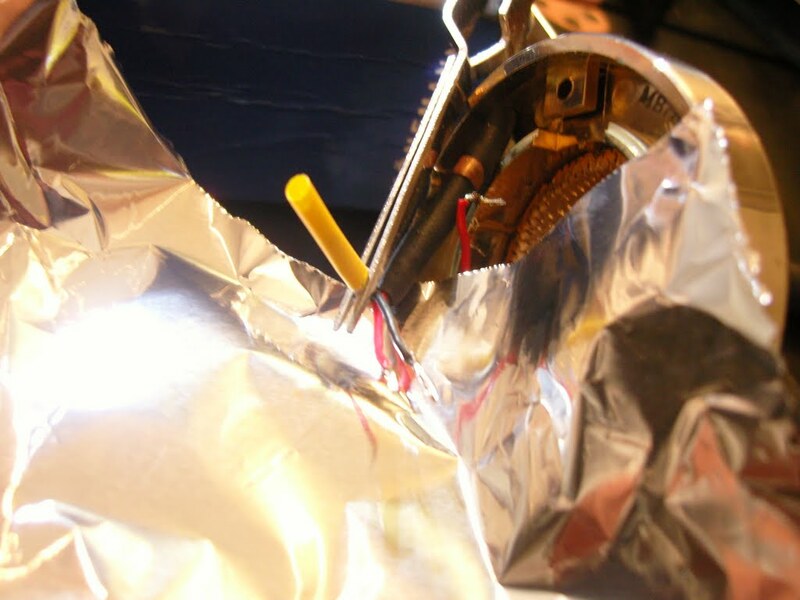 This also speeds up heat shrinking as the heat is deflected better back at the wire. Finally the clip is set in its place with epoxy glue since the plastic holding the clip had crumbled from age. 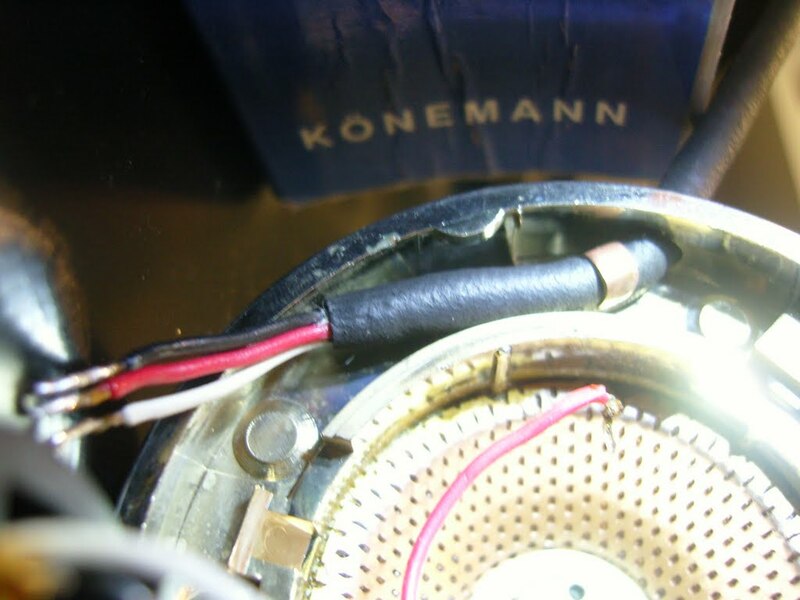 Audio jack plug wiring: Red is right and fit the ring of the plug. (RED-IS-RIGHT-IS-RING) The tip is the left channel and the sleeve is earth. Listening impressions: My first impression is playing Flac and mp3 files out of the headphone socket on the MacBook Pro, I tried movies, rock, jazz, heavy rock. 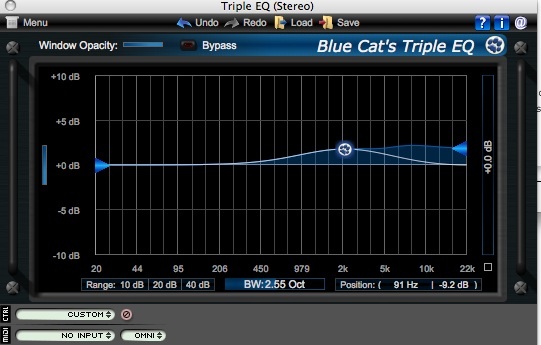 I used Audio Hijack pro and Blue Cat Audio´s Tripple Eq plug in to explore different equalization of the music. The first thing I experienced was surprise that these phones are written of as bad sounding but great lookers. The sound was full, with plenty of bass, and a rich lower mid tone. I found that they improve by amplifying the high frequencies about 3-5 dB with a 2,5 dB/octave filter centered at 2kHz. Unfiltered they have a prominent lower mid that favors jazz, male voices and bass music but imparts a veiled blurry quality to the music. With extended listening they are comfortable and light. I like the fakt that you can open up the dual headbands so they sit better over your head, but they have rounded pads that feel like the headphones are pushing a bit to the inside of the ear. My daughter felt they tickled her in the ear. You rock! This is great information. Thank you very much! Congratulations on a great find! Check for breaks in the cable up by the headphone first. Happy New Year! 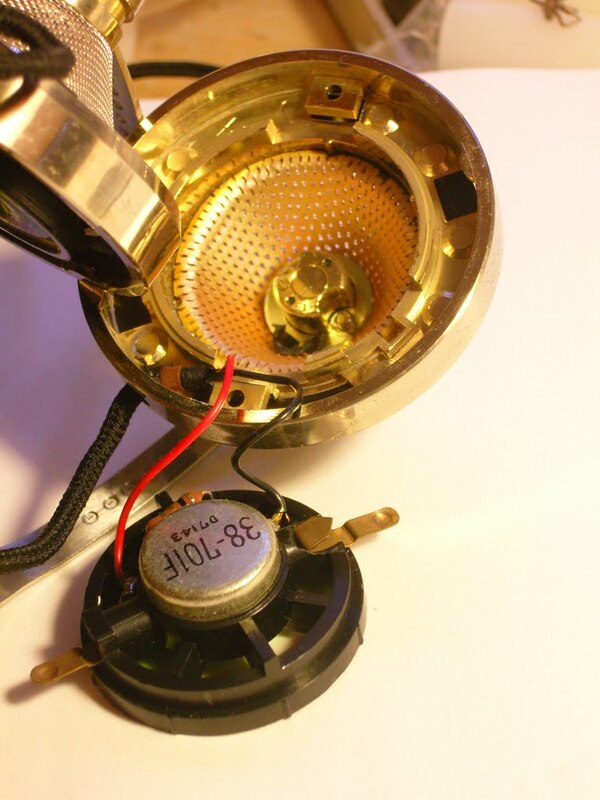 I wonder if you can replace the se-l40 driver with drivers from grado ?? Nice idea! I dont know the diameter of Grado drivers, but aside from that the major problem would be the amount of air vented out of the backs of the L40´s. The Grados need to breathe properly to sound good. 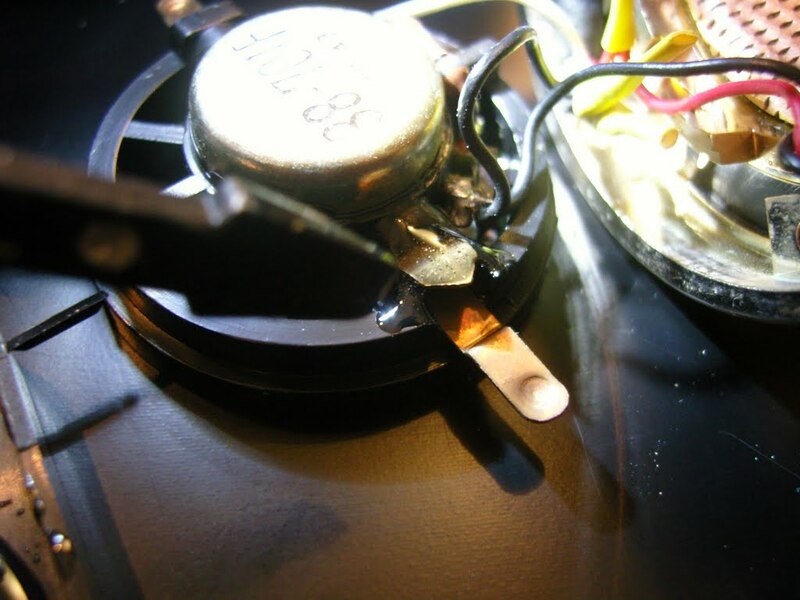 There are some mods that open them up even more than standard, and the SE L40´s have tiny vents in comparison. 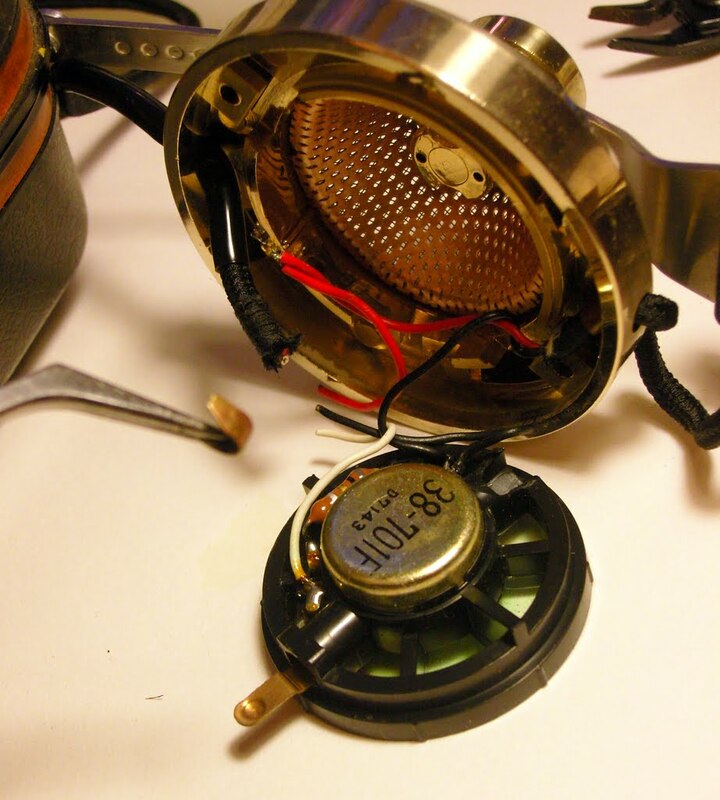 (I assume 60i´s ) also the inner cylinder in the grados is needed for sound reproduction. 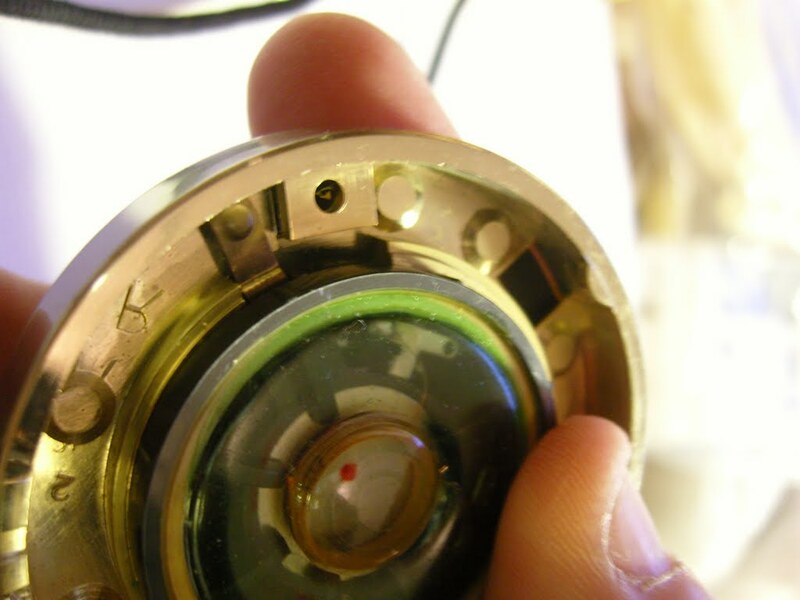 The SE L40´s don´t have much of a cylinder at all. So all I can say is If you get them to fit they will not sound like they do in stock ´phones. I actually like the sound of L40´s, its warm calm and relaxed. Good for chilling out. 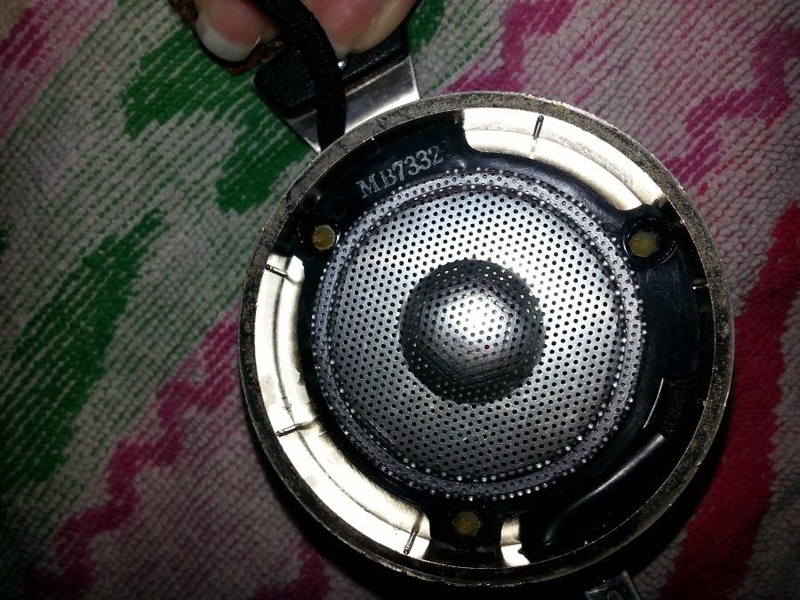 Thanks for your answer, my current headphone sound is very poor, do you think it will improve if i change the Jack plugs, i want to change to a Jack plug who will fit for the ipod. I bought a pair for $40 at a thrift store. I figured they looked cool and owner let me listen to them before I bought them. I agree with what you said about the sound quality. Not too technical with audio but they do sound great with lower tones and sound tinny when I listen to instrument distortion, like in Rust Live. Congratulations on a great thrift store find! Try equalizing in your computer sound source. Appreciated, I will see if I am capable of figuring that out. Haha. Great blog. Hi, I have a pair of the se-l 40s with bass distortion to one ear. What to start with? If driver blown, any idea what to replace with? Thanks! I dont know if you can get suitable drivers for it without sacrificing another pair, try asking on headfi.com. but before expecting the worst, i would open them up and check for continuity while you wiggle the wires. It seems more probable with a wire break than a broken driver. Also you can check whether they are firmly fixed to the headphone body. On mine the snap fitting was very brittle. I can i magine a loose driver would cause a bass rattle. If you have to find a new driver, please drop a note here and I can update this post for other people. Good luck! This comment was removed because the poster left his email on a public post. 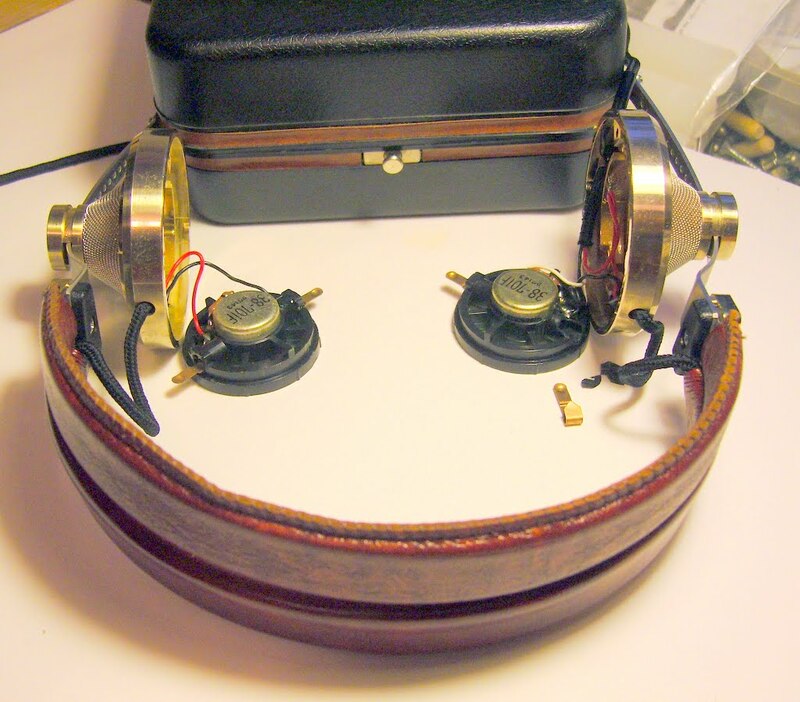 If yoy have vintage gear to sell, I reccomend posting on Headfi.org in the sale forum. Hi, I have a pair of se-l40s that I've been using for the past year without issue – this past week the sound in the left speaker has started to sound scratchy and go in and out. It improves with movement or light adjustment of the cord close to where it inserts in the speaker. What would be the best starting point or approach here? What you describe sounds excectly like the cable break I had to fix. 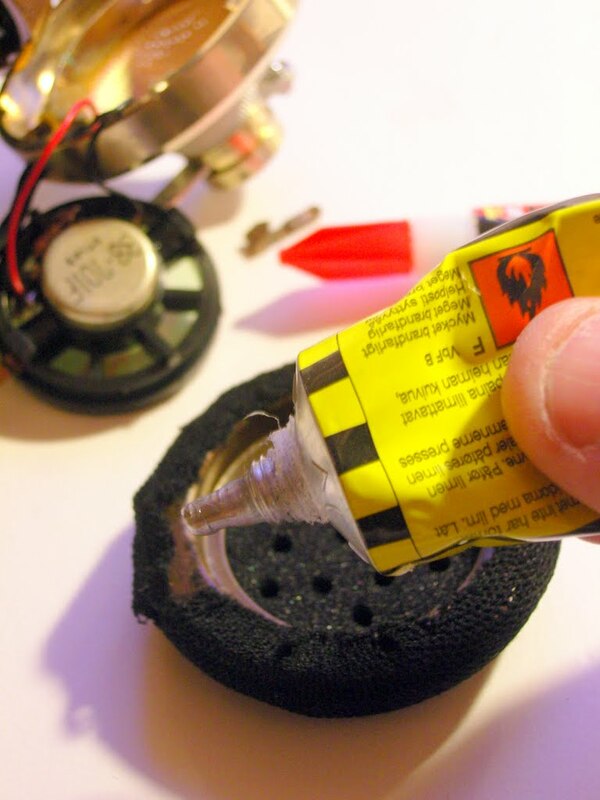 Unfortunately there is no way to test with a ohm meter without a full dismantle. Based on my experience with brittle plastic I would not do it. Tho only other option is cutting the cable inside the cup and measuring from there. Leave enough room to solder things back together. If you find a break start cutting an inch at a time (2-3cm) and measure again until you have cut out the bad part. Good luck! And feel free to ask. Twist the pads gently 90 degrees to unlock them. Dont use force. You may need to wiggle them carefully. Then you have an idea of what you are up against. Just found a pair at a yard sell for 5 dollars! And they work! Sound great! Congratulations! Great find. Hope they give you many admiring looks. I just got a pair of these today, and I am trying to decide if I should return them or try to repair them. The left earpiece crakcles in and out, losing sound. 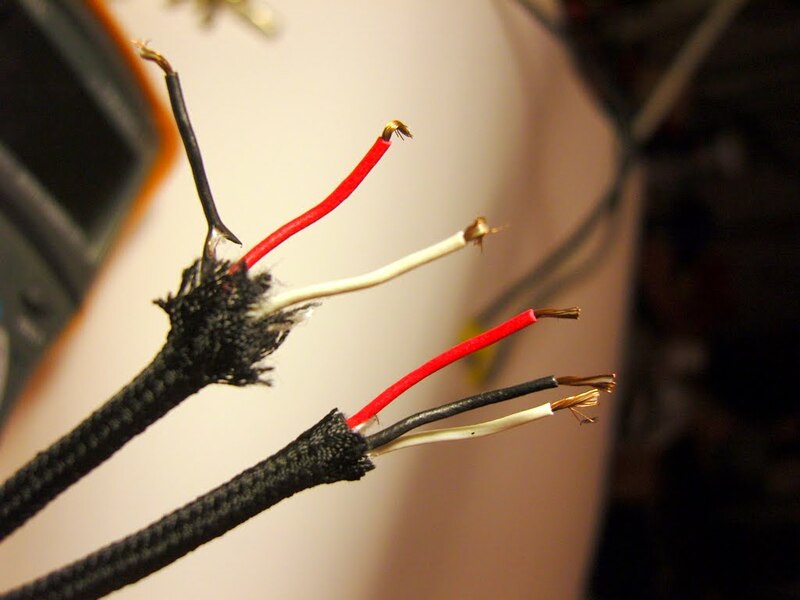 I think I could repair the cable if I could get inside, but I cant tell if mine are the glued kind or not… how can you tell? I dont want to rip the earpad and not be able to return them. But I don’t want to return them if I can repair them.